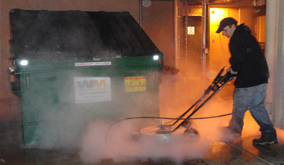 Our residential and commercial pressure washing and steam cleaning company services the entire Scottsdale metro area. Call us today for a free pressure washing quote! We offer residential pressure washing to all of Scottsdale, AZ. There is no job too big or small. 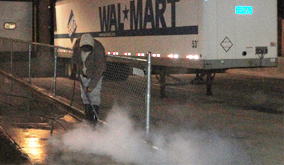 We are Scottsdale, AZ's industrial power washing service. We clean up after construction companies. AZ Power Wash Pros is a completely insured pressure washing company which is equipped in offering pressure washing, power washing and property maintenance services in Scottsdale. We offer pressure washing service in commercial, residential and industrial areas in Scottsdale. We proudly announce that our team of highly skilled professionals has made us the first choice of both residents and commercial property owners based in Scottsdale. 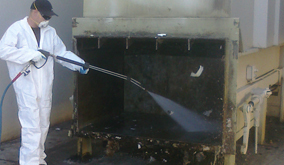 Our cleaners know how to work with high pressure steam cleaning services. They are trained in handling the latest cleaning equipment available in the market. In short, we are proud to announce our quality cleaning services offered at affordable rates. To help our clients we even offer special discounts on weekly, bi-weekly, or monthly cleaning contract. Under the property maintenance program, we offer services like cleaning different parts of the house, such as window cleaning, parking lot cleaning, sweeping restroom, building washing and offering sanitizing services. Call us now to enjoy a free on site demonstration of our washing and cleaning services. 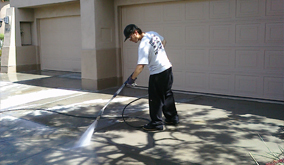 Residential pressure washing services in Scottsdale, AZ. 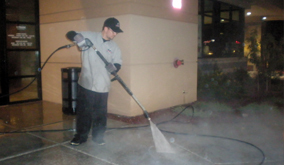 Commercial pressure washing services in Scottsdale, AZ. At AZ Power Wash Pros we have dedicated ourselves in creating clean and healthy living area for the residents of Scottsdale. Once you contact us, we respond immediately without wasting time. Customer satisfaction is our motto. We offer excellent services so that our clients are satisfied and happily recommend others. Our cleaning experts are specially trained to work with pressure washing and power washing while cleaning the residential or commercial properties. We dedicate our self in property maintaining and cleaning services by using state – of – the- art machinery to clean the areas. At AZ Power Wash Pros in Scottsdale we boast of implementing environmental friendly ways of cleaning the area. We are equipped to recycle the water used in cleaning task and save natural product by keeping Scottsdale an eco-friendly state. The detergents used are prepared from natural extracts and not from harmful chemicals. Hence, contact the most trained and safest property cleaning company in Scottsdale to maintain your property in ideal condition. We offer weekly, bi-weekly, and monthly property maintenance programs to our clients in Scottsdale. We are Scottsdale, Arizona's premier concrete cleaning company! Restore your concrete today. We are Scottsdale, Arizona's premier residential exterior pressure washing service. Call today! 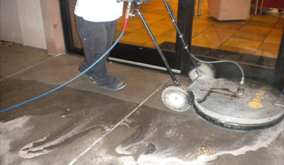 We offer high quality steam cleaning services to all commercial customers in Scottsdale, Arizona.